While we recently posted developer information for 2007, this post contains general information regarding the upcoming release. I’m laughing as I type this post, because that little voice in my head that plays while I type is continually droning: microsoft-office-visio-two-thousand-seven. It’s starting to feel like a long german word: microsoft-donaudampfschiffsfahrtsgesellschaftskapitänzmutzenadelspitze!!! Ooh! Hope that didn’t hurt. Anyway, enough distractions — on to the information! 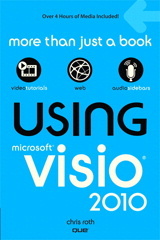 News regarding the availability of the newest versions of Office and Visio 2007. Article is from Nov. 6, 2006. Folks are always asking for edition comparisons, so MS isn’t wasting anytime providing us with a nice matrix of the differences between Microsoft Visio Standard 2007 and Microsoft Visio® Professional 2007 . Includes an overview of Standard vs. Professional, info on pricing, including Upgrades , why you should upgrade, and links to a whole slew of other resources. This page has the usual marketing and upgrade information, but also lots of links to faqs, datasheets, technical resources, support, Visio-based solutions, Office-based solutions, the solutions-providers themselves and more! Here is some more info about Office’s release. Enjoy! Pen input?? This would be news to me. Given the number of shared components that go into Visio and other Office applications, it’s possible that there was some enhancement to pen input, but I’m not aware of anything. Not sure what Word dialog tables are – you mean custom forms made in VBA? At the very worst, you can take a screen shot of the form and paste it into Visio. Visio also has nice Windows UI shapes, under File > Shapes > Software > Windows and Dialogs, but these won’t automatically translate from Word.